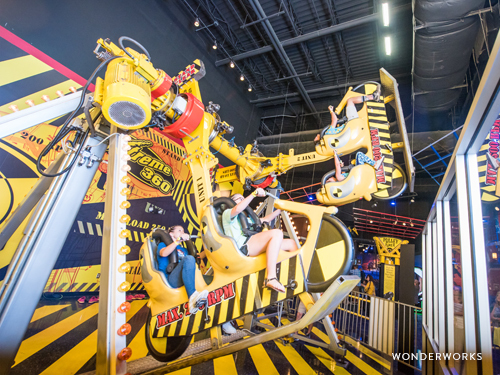 Starting in fall 2019, you won’t be able to miss the iconic exterior—a huge upside-down house—of WonderWorks in the heart of Branson’s Entertainment District. According to legend, the building was once a top-secret laboratory that was lifted off its foundations onto its roof by an experiment gone awry! It’s safe to explore, though, and when you venture inside, you will find four stories of over 100 STEAM-focused (science, technology, engineering, art, and math), hands-on activities and exhibits that will entertain, educate and inspire everyone in your family! The sixth WonderWorks in the country, the Branson location will feature two unique experiences: an interactive military experience and an exhibit that honors Branson’s history. 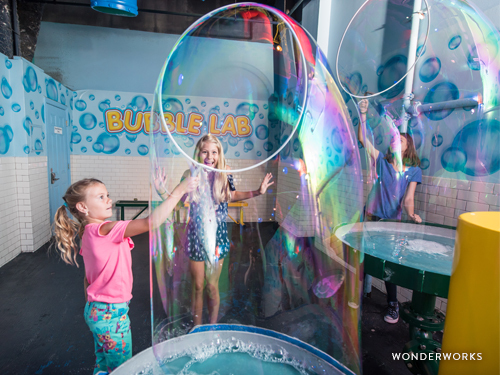 Other WonderWorks experiences include an interactive sandbox, an illusion art gallery, Xtreme 360 bikes, and a bubble room. Guests can also encounter Professor Wonder’s Adventure, an augmented reality adventure that explores the history of WonderWorks.